Comecer will be present at Cophex — Korea Lab 2017 with our distributor Falatech, exhibiting in booth #7B310. As a leading company in Isolation technology, we are specialized in providing solutions to many aspects of pharmaceutical production and Quality Assurance. Our product portfolio is constantly updated and it ranges from Primary Production to Fill & Finish, from Quality Control Lab to aseptic processing, along with all the associated services to guarantee the highest standards. In addition to a multitude of standard applications, we are specialized in fully customized solutions. Join us in Hall 7B at KINTEX 2 and look for the Comecer team in the exhibition area booth #7B310. 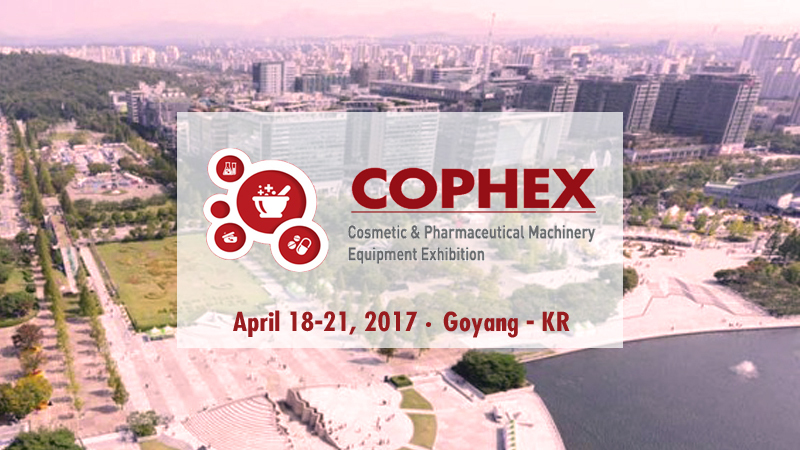 COPHEX 2017 is Korea’s leading Pharmaceutical & Cosmetic Industry Exhibition, offering ideas of quality improvement and product development. There are conferences and technical seminars for the fields of packaging, logistics, and laboratory analysis. You will find up-to-date information needed for manufacturing cosmetics and drug development in COPHEX 2017.